This encounter led me on a journey to the Catholic faith and at first, a personal mission to assist Monsignor in bringing him and his music to our country – for him to compose for us and work with our singers and orchestral musicians – to encounter and reach out to all Americans and make his music widely recognized and performed. I was raised Presbyterian and converted to Judaism while at university. There I was, playing sacred, Italian, Catholic music in the orchestra and watching Monsignor Frisina conduct. I could see he was so filled with joy and faith, not just the emotion of music-making. It was one of those moments when the heart is reached rather than logic. After the tour, I began listening to CD's of his music and telling people about how it had stirred something deep, powerful and unexplainable within me. Bringing Monsignor Frisina back to New Jersey was just the beginning. My witness of his deep expression of faith through the language of music was the inspiration for my conversion to Catholicism. He even became my sponsor as I began the RCIA process, entering the Church during the Easter Vigil in 2012. We also held a choral workshop for church musicians in Flemington, NJ in August of 2012 with Monsignor Frisina sharing his views on music in the liturgy in a presentation entitled, “Singing the faith: Music and Liturgy seeking the face of Christ”. He led rehearsals and a concert of his songs. I was very surprised to learn that so few people, especially those within the music ministries of the Catholic Church here in the United States, either know or sing his music. With his blessings and guidance, I embarked on a personal faith mission to introduce him and his music here, particularly within our parishes so that they may include his songs in worship. However, this became very time consuming and not very productive. I came to realization that the best way to promote it would be to have people perform it - to hear and share and fall in love with it. 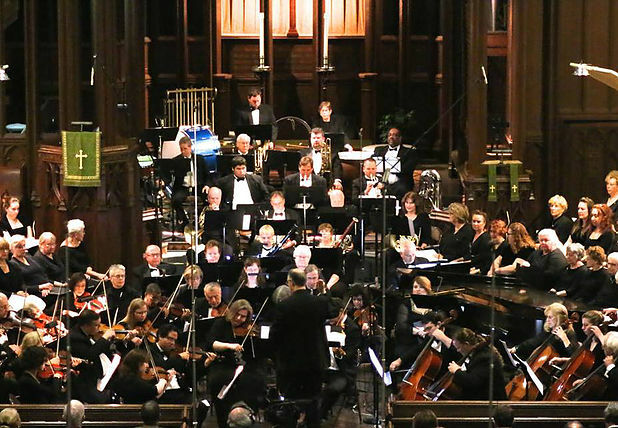 So in 2015, I created a 501(3)(c) nonprofit charity called Music for Faith, Inc. Our mission is to introduce the music of Italian composer Marco Frisina in the United States so that it can be widely recognized and sung in both religious and secular settings. Marco Frisina is truly one of the jewels of the Catholic Church. His music is born out of the rich tradition of his Italian musical heritage and he combines the framework of the great sacred composers with his own palette of sound, beauty and respectful presentation of the texts. At first glance, his music can look simple in its construction but it is deceptively rich and can be complex in structure. Much of his liturgical music has been composed to be within the musical capability of the normal church choir. His musical style has been likened to both Miklos Rozsa and Ennio Morricone, the great Italian film composer. Monsignor Frisina is a world-renowned composer of liturgical and religious songs and oratorios, numerous film scores, several operas and the recipient of numerous international awards. He carries out his ministry in Rome, Italy. He is the Choir Master of the Pontifical Choir at the Basilica of St. John Lateran; Rector of the Basilica of Santa Cecilia; lector at the Pontifical Lateran Seminary, the University of the Holy Cross and the Pontifical Institute of Sacred Music; sought after lecturer as a scholar on Dante and a Biblical scholar. In 1984, he founded the Choir of the Diocese of Rome. This choir of 300 voices sings all over the Diocese of Rome, throughout Italy and globally in Germany, Austria, France, Malta, Poland, Czech Republic, and Israel. They often animate the liturgies before the Holy Father. Fundamental to his life and vocation were the presence and words of Saint John Paul II. During the late 1970’s, JPII was beginning his Pontificate and Monsignor Frisina his studies for the priesthood. Upon hearing Monsignor’s music, the Pope recognized the power of this priest’s musical gifts and encouraged him to pursue his talent as a means for evangelization. Monsignor remained close to the pontiff throughout his life and composed over 27 works for him, many of which reflect the Pope’s own words and ideas – to communicate the beauty of the gospel through music and art with simplicity, depth, joy, tenderness and closeness to the poor. All that Marco Frisina expresses whether in action, words or music is from his heart - a sharing of his love for God and for all humanity. His music is truly universal, touching the hearts of people of all backgrounds and religions. 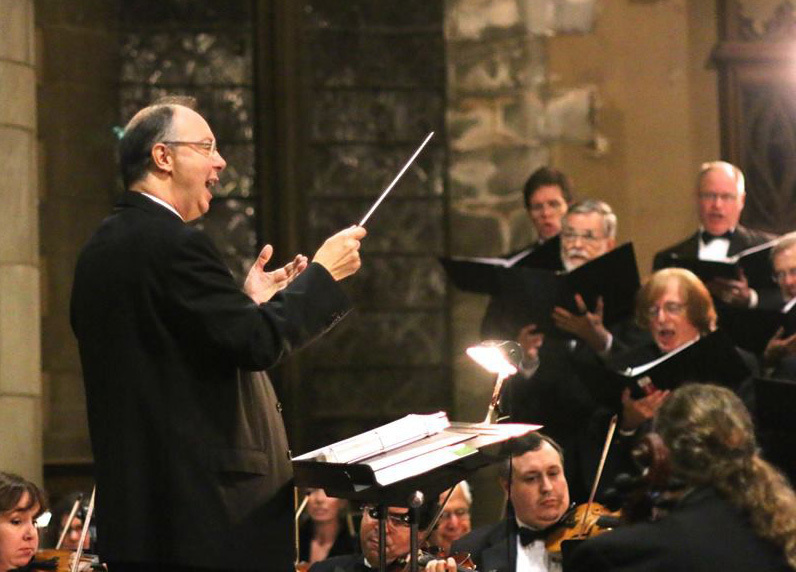 For Monsignor Frisina, music is the purest expression of the soul, an act of love. 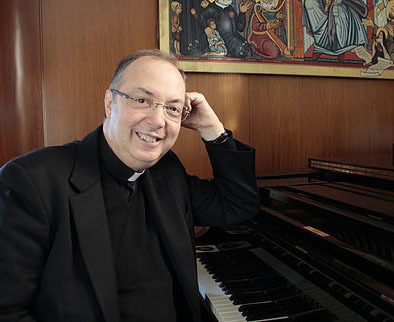 It is important to know that Monsignor Frisina has an ardent desire to compose music in English specifically for the United States and is most interested in coming to America to work with our choirs, orchestras and to evangelize through his music to bring together people of all religions backgrounds and economic conditions. He is an amazingly gifted natural speaker and when combined with his musical gifts offer the promise of wonderful encounters with all people. Please contact me, Lee Doswell (Executive Director & President of Music for Faith, Inc.) at ldoswell@music4faith.org for further information or to discuss potential collaborations to share the music of Marco Frisina in our country. Visit our website www.music4faith.org to learn about our mission and activities and also our companion site www.marcofrisina-usa.com, which provides a comprehensive view of Monsignor Frisina and his works. So glad you have related your story about your connection with Marco Frisini's music. I have shared this article with others. This is very well written music. Such beautiful harmonies and orchestral arrangements. The recorded performances are sublime. You are so right to encourage listening to Fr. Marco's works. This elevates the soul.